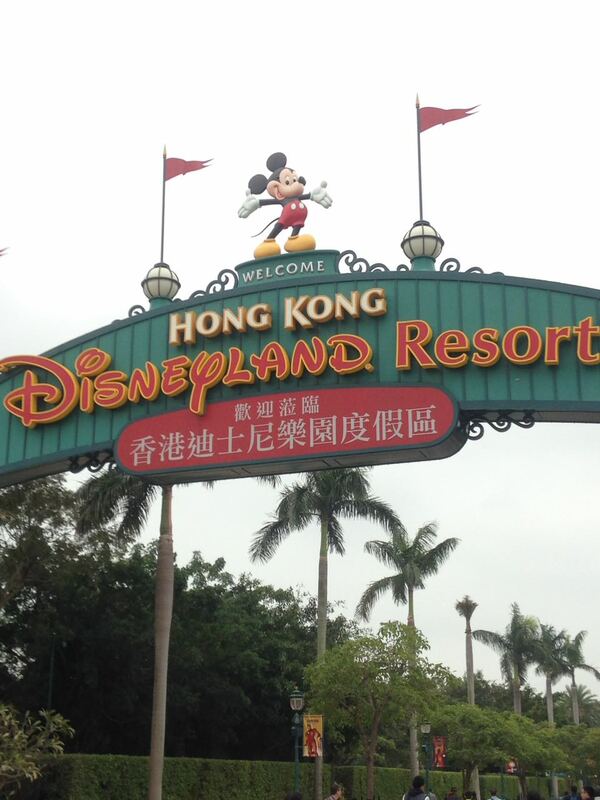 Are you ready for the next instalment of my best friend Tash's trip to Hong Kong Disneyland? I sure am! 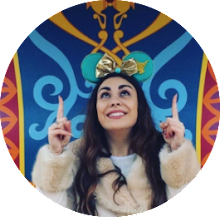 If you haven't yet read Part 1, I suggest you click here to bring you up to speed on her experience so far! 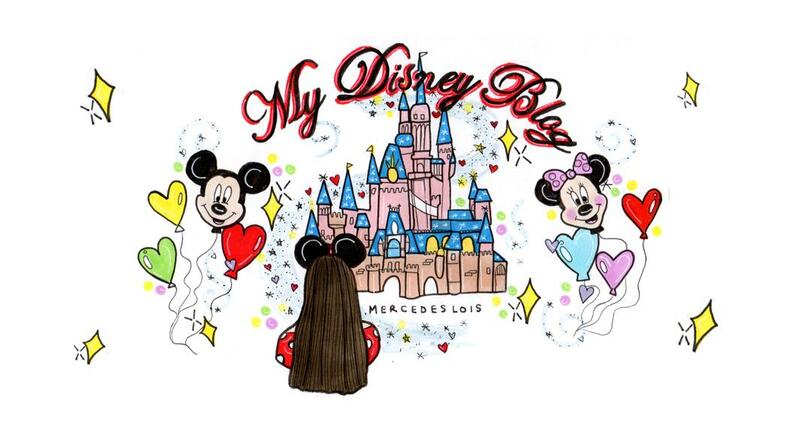 Mercedes: Going back to your point where you said that there isn't a World of Disney store at Hong Kong Disneyland, is there a Disney Shopping District at all? So like a Disney Village or Disney Town or anything? Tash: No, there is nothing. I found this really weird as I am use to going to Disneyland and having Disney Town or Downtown Disney, and the experience being more than just a theme park whereas, at Hong Kong, they literally just have two hotels. They're opening another [hotel] in April, but you get off the metro and that's it! When the park closes, you get on the metro and go home, there is nothing else outside of the park. 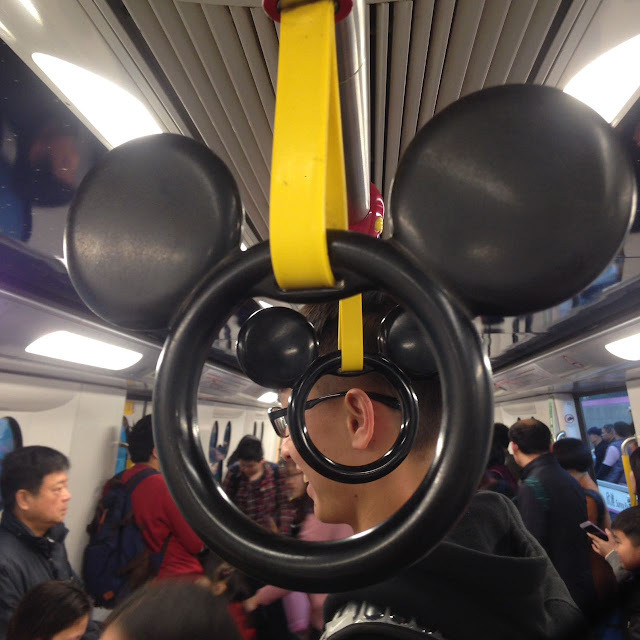 Tash mentioned that the attention to detail on the Metro in Hong Kong was outstanding! Very unique in comparison to Shanghai's Disney Metro. Mercedes: You mentioned hotels, what is the theming of them, do you know? Tash: I know one is a Hollywood style, family hotel. 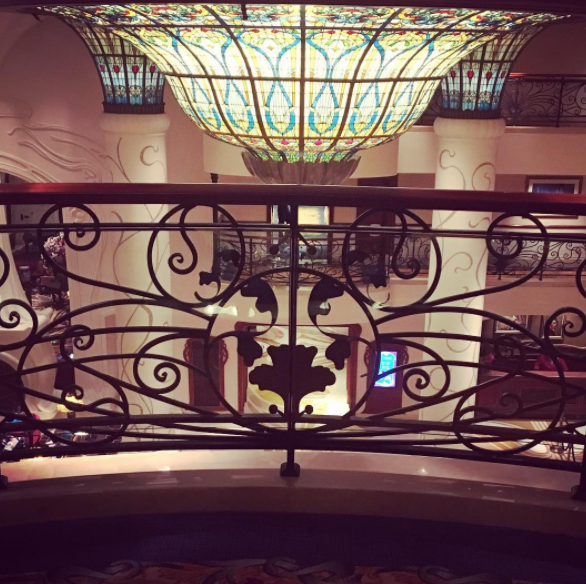 The second is an Explorer, wild-west style hotel and I think the other one is, I might be wrong, but I think it's like the Shanghai Disneyland Hotel so classically themed. Mercedes: Can you give us a rough overview of the park's layout. You mentioned Main Street before, are the other lands all the same as the US? Mercedes: Really?! I am so looking forward to that [Hyperspace Mountain] opening in Paris! Tash: It was just so slow. Mercedes: Okay, so it was the attraction rather than the additional Star Wars theming that made it disappointing? Tash: Yeah, the Star Wars bits were alright but I'm not a Star Wars fan. The only character you saw was that... [To Benji] "Benji, what's that weird alien from Star Wars?" [Silence] "The one with the big head?" [More silence] "It's got two eyes, like a fish head..."
Mercedes: Wait one second... [shouts] "Chris!" [silence] "Chris!" Mercedes: Watch this space. I'll find out* but yeah, I know who you mean! Tash: Yeah, so because I don't like Star Wars, it didn't really add anything. I would have preferred they left it as the traditional Space Mountain. 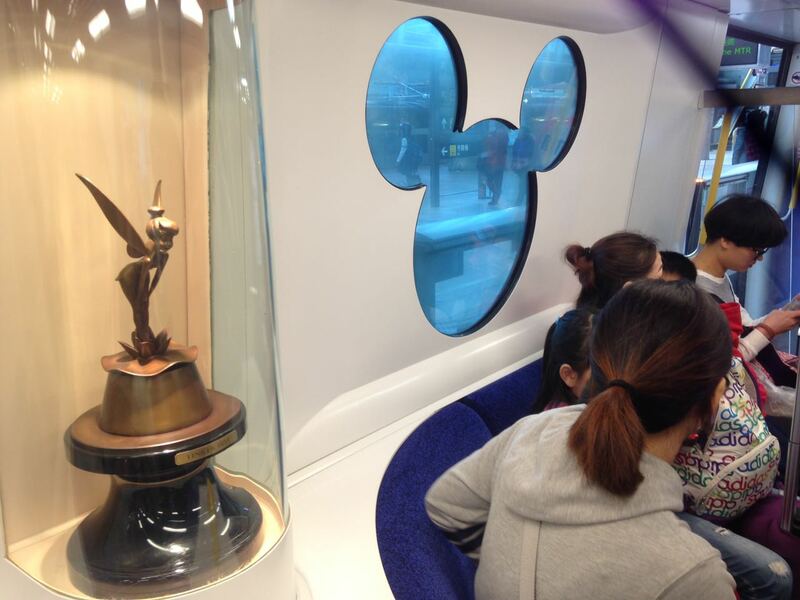 Mercedes: So next to Tomorrowland is Fantasyland? Tash: Yes. That was the busiest land. They have you're "favourite"**, 'It's A Small World' which is a carbon copy of California. Tash: Yeah, maybe they will get it? Fantasyland is where all the shows were and you have to queue about an hour beforehand for them! 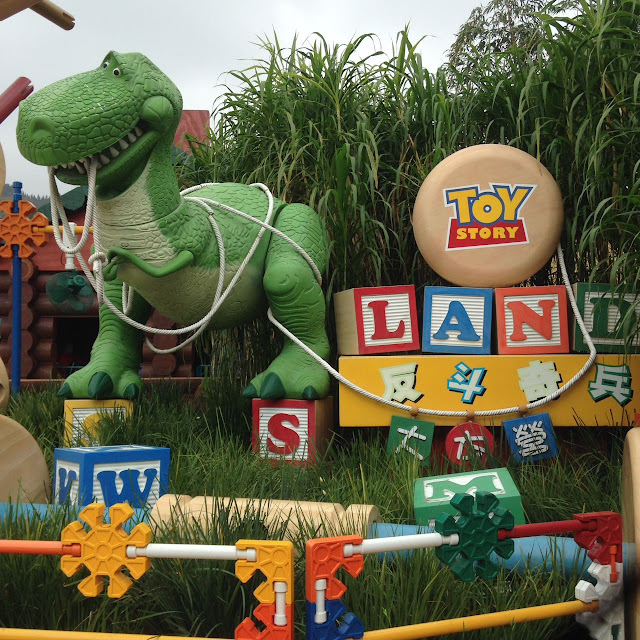 Next to Fantasyland you have Toy Story Land. Mercedes: That's cool. I didn't know they had that! Tash: Yeah, in Hong Kong, it didn't feel right. I can't really explain it. It felt a bit 'cheap' and very out of place. It would have been brilliant in California Adventure. Mercedes: So do you think Pixar should be separated out like in Orlando, Anaheim and Paris? Tash: Yes but obviously they don't have the space in Hong Kong. So after Toy Story Land you have Grizzly Gulch. Almost like Frontierland, which is where Big Grizzly Mountain is, and then you have Mystic Point which is like Adventureland and where Mystic Manor is. Mercedes: Cool. The next thing that I really want to ask you is that I know this trip is the first time that you've ever been to a Disney park on your own. How did you find that? Mercedes: Aw, bless! That's interesting because I don't feel like when I'm watching the parade and shows and things that we do much talking? Tash: You don't but you obviously share the experience with someone and you discuss it afterwards. When I left the park and met up with Benji [Tash's Fiancee] in the evening, he asked me how it was but, he couldn't relate to it. There's nobody that I can share the experience of that day with. It made the whole thing feel a bit like I was going for a different purpose. My life goal is to visit every Disneyland in the World before I die, and it did feel a little bit more like it was just a 'tick-box' thing. Mercedes: Just going through the motions? Tash: Yeah, it felt totally different and I was super excited about it but it felt like I had gone for a different reason. It was a different experience from what I am use to. Mercedes: That was a really good answer and quite thought provoking. Hopefully this has been quite cathartic for you then and now you can share the experience with whoever is currently reading the blog! Tash: Yes! 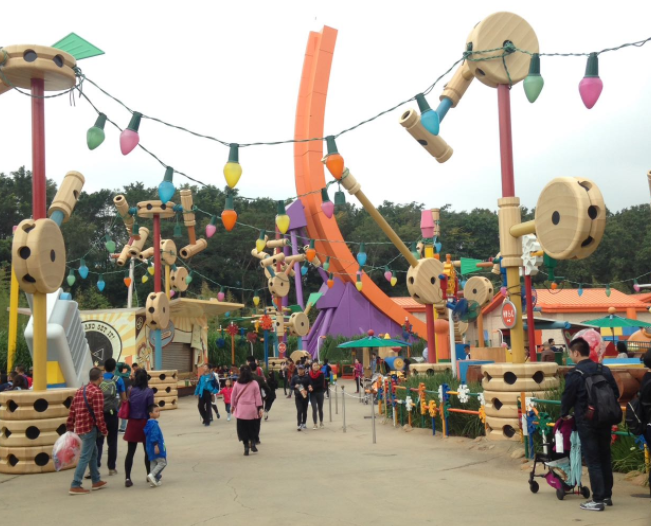 I think I found that queuing for rides by yourself, is very lonely. Waiting for a parade by yourself, is very lonely. And because, nobody really attempted to speak to me... not that I attempted to either, there wasn't really a sense that I could approach people. 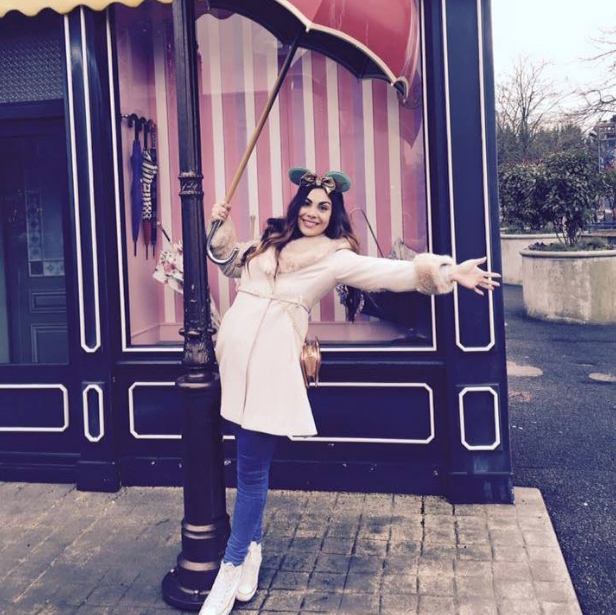 Mercedes: Well, I actually met a guy in Disneyland Paris last year that was alone. He was called Sven, like from Frozen, and we had a lovely evening in the park so it is a shame you didn't meet anyone and make new friends too! He was also going to the park as part of an attempt to go to all the Disney parks before he died! That's also a mission of mine! Leading on from that, where would you say is next on your list? Mercedes: And have you got plans in place for that yet? Tash: It will be... the end of July, just before I leave [Shanghai] and again, that will be on my own. Mercedes: So is Benji going to Japan with you but just not to Disneyland? Tash: No. He can't because of work and holiday and things. We don't have enough time to take off together. So he will be in the UK whilst I visit. Mercedes: So you're going completely alone? Mercedes: I would totally come with you, 100%. Mercedes: I am deadly serious. I definitely would. Tash: You are officially invited. Please come! Mercedes: This is amazing. I didn't think this would come out of our Hong Kong chat! I am so up for that! Tash: I don't want to get my hopes up but please come! Tash: I'm still surprised by that, in a good way! Mercedes: Good! I have lost my train of thought now! I think the only thing that I haven't asked you about really is that, you've mentioned shows, but what about characters? What were Meet 'n' Greets like? Who did you see? Any face characters? 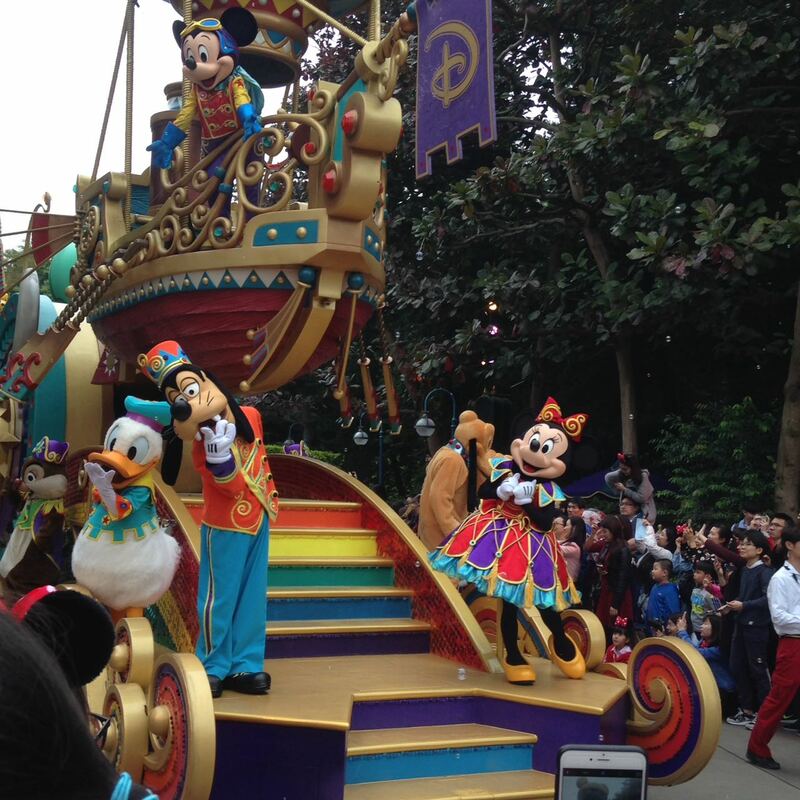 Tash: I saw Mickey and Minnie in their Chinese New Year costumes. There were huge queues so I didn't bother, as I was on my own, and I don't think it would have felt right. It's fun when you're with other people [meeting characters] but me, on my own? I would have felt weird. 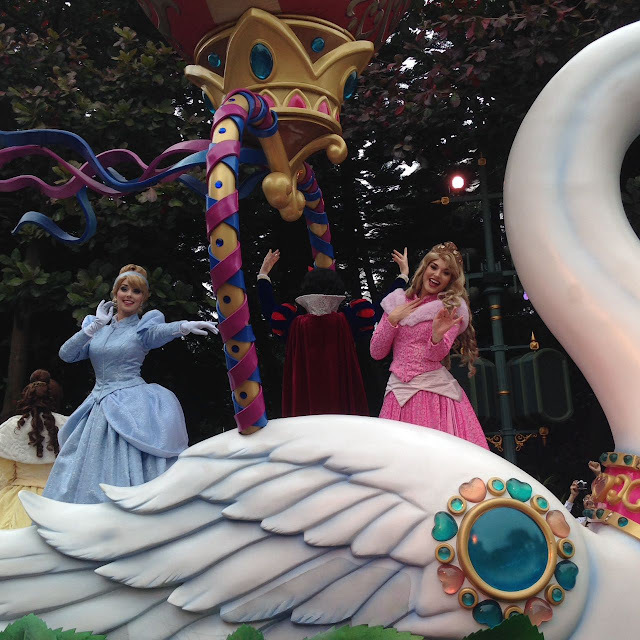 Tash managed to catch a glimpse of all the usual gang during the Parade! Mercedes: I actually did do a Meet 'n' Greet on my own in Shanghai... Chris [My Boyfriend a.k.a Grumpy] had gone to the toilet and I was waiting by a Meet 'n' Greet spot and some characters came out and there was nobody else there so I went and I had loads of photos taken with them by myself! Tash: That's okay. That's acceptable. Had there been no queues, I would have done the same! I saw Minnie, Mickey, Donald, Daisy, Goofy and Pluto. I didn't see any Meet 'n' Greets for Princesses. I also saw Woody and Jessie too. There wasn't a lot really. There is more in Shanghai. I only saw face characters in the parade. They had Tinkerbell, Cinderella, Belle, Snow White and I think that was it. Mercedes: You've mentioned being alone again, where did you eat, as you were on your own? Tash: As I mentioned before, Hong Kong was so expensive so I brought food in. I purchased some bits from the Bakery as everywhere else was just Chinese cuisine which was super overpriced but even from the Patisserie, the food was just standard. I didn't see anything special like the Minnie and Mickey Ice Creams. They just had popcorn, churros and pretzels. There wasn't anything unique. *Chris confirmed that the character was General 'something'. He said, 'just Google Star Wars Fish Face' so, I did. **I really hate 'It's A Small World'.